I posted on August 29, 2012 that you could put the hook side of the Velcro self-stick dots on a rug and it would stay in place on the carpet. I apologize, I was wrong. 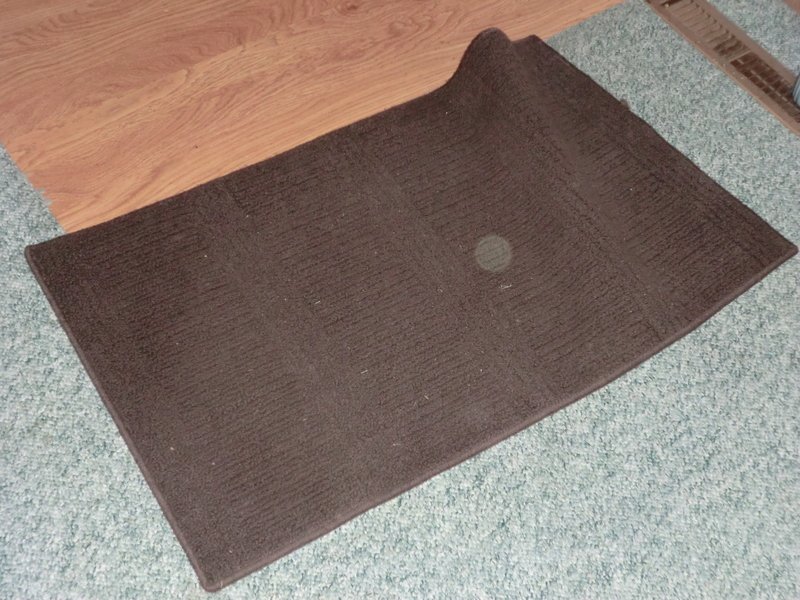 The hooks catch the carpet very well, but the adhesive is not strong enough to withstand the traffic by the front door. I am replacing the self-stick dots with sew on Velcro. I will have to test my theories a little longer before I post them. Throw rug by front door. This entry was posted in Accountability and tagged Accountability by Frugal Fish. Bookmark the permalink.